Gemtech’s new Tracker is the first suppressor made specifically with the hunter in mind. At 11 ounces it doesn’t add bulk to the already weight conscious hunter and only adds a little over 7 inches to the overall length of the rifle once threaded on the barrel. You can still stalk your prey without getting hung up on the brush and low hanging trees. The Tracker is suitable for most major hunting calibers and is adaptable to most rifles. Hunting with the Tracker offers hearing protection, improved accuracy, faster follow up shots and best of all, won’t panic wild game. Don’t kill your hearing, kill your dinner. Special Note: The Tracker is NOT Full Auto rated and intended for hunting purposes only. 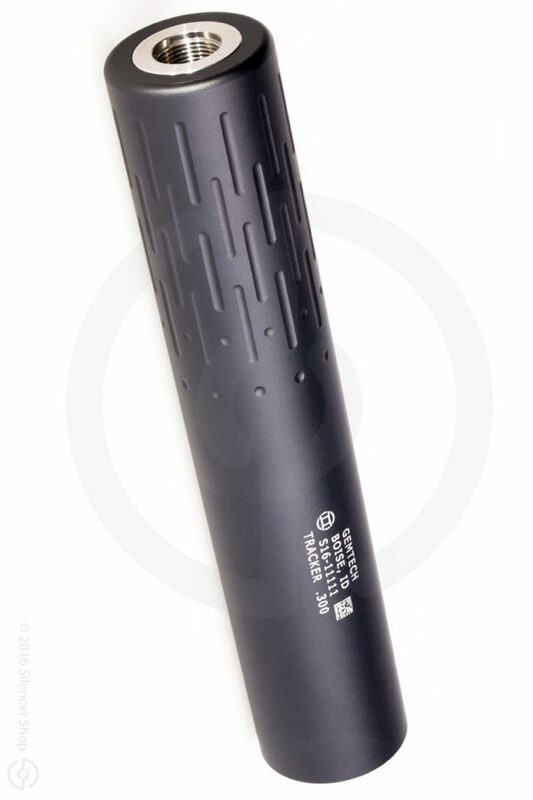 Must allow suppressor to cool to ambient tempeture after 10 rounds (all calibers).